I never realized how difficult it would be to come up with a list of my favorite books from one year. Please consider that I read over 400 books in 2013, so if I loved only 10% of my total reads this list would have over 40 books on it. Part one of this list noted ten books that were read between January through June only. Part two will list books that have been read between July and December. My one hundred and forty-second read of the year was The Woman Upstairs by Claire Messud. This contemporary literary fiction read was an amazing story of friendship, jealousy, and artistic freedom. This book was a Scotiabank Giller Prize Nominee for 2013. Next was Life After Life by Kate Atkinson, my one hundred and forty-third book of the year. Life After Life raises the question of what would you do if you had the opportunity to live your life over and over again until you get it right? Is it possible to get it right? Life After Life was a Goodreads Choice Winner for 2013, and was a Costa Book Award Nominee for Novel as well as a Women's Prize for Fiction Nominee. 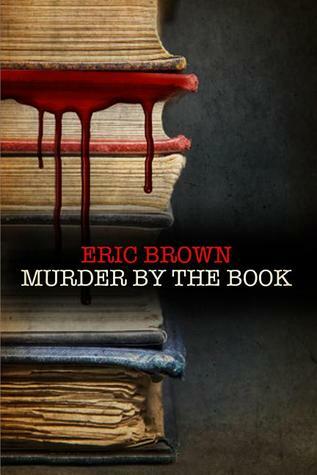 Murder by the Book by Eric Brown was my one hundred and forty-fourth read of the year and the first book in the Langham and Dupre Mystery series. I enjoyed reading this book and look forward to reading more in this series (hey it's books and mysteries...what's not to like?). 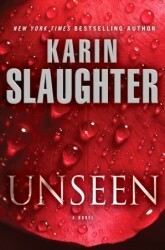 My one hundred and fifty-first read of the year was Unseen by Karin Slaughter. This book features two of my favorite characters, Sara Linton MD and GBI agent Will Trent. Add in the Georgia settings mixed with intrigue, mayhem and suspense and it all adds up to a great series and some wonderful reading. 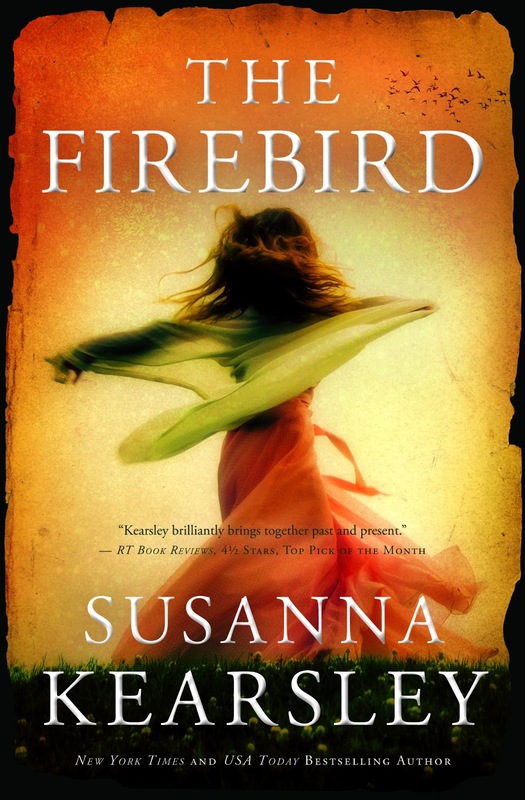 The Firebird by Susanna Kearsley was my one hundred and sixtieth read for the year. This was another book that featured an excellent combination of contemporary and historical fiction with just the right amount of romance and a touch of intrigue and the paranormal. I enjoyed reading The Firebird so much that I read all of Ms. Kearsley's other books within a few weeks after finishing this one. I've read many of author Chris Bohjalian's novels over the years (if you haven't read any of his books, start with Midwives and read the rest! 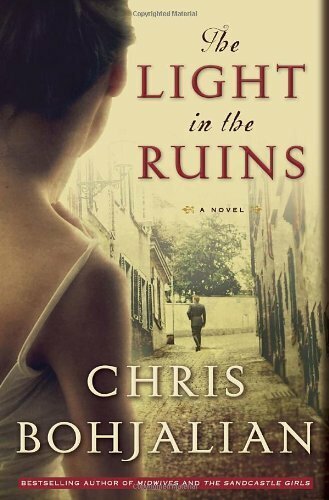 ), and was pleased when offered the opportunity to read and review The Light in the Ruins. This was an amazing historical fiction focusing on the effects of World War II on one Italian family. 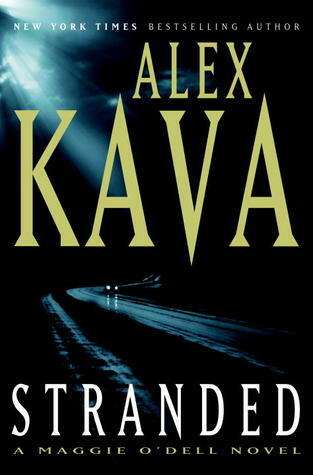 Stranded by Alex Kava was my one hundred and sixty-eighth book of the year. This mystery-thriller is the eleventh book in the Maggie O'Dell series by Ms. Kava. The characters remain just as captivating in this book as they were in the first and this story was one that I simply could not put down (and made me just a tad bit fearful of stopping at a highway rest area any time soon). Do you enjoy mysteries? If you haven't given the Maggie O'Dell series a try, then you'll definitely want to add them to your TBR list. Whistling Past the Graveyard by Susan Crandall was my one hundred and eighty-third read of the year. This coming-of-age story is set in Mississippi in 1963 and was an amazing read. Every now and again I'll get the chance to read a book that takes my breath away and this was one of those books. Julia Keller is an accomplished and Pulitzer prize winning journalist and a phenomenal author (not to mention a native West Virginian and a fellow Marshall University alumnus...Go Herd!). Her first book, A Killing In the Hills, was released in 2012, features Bell Elkins and is set in a fictional southern West Virginia town. The second book in this series, Bitter River, was my one hundred and ninety-third book of 2013. The Curiosity by Stephen P. Kiernan was my two hundred and sixth read and one that rather defies categorization. Is it Science Fiction? Possibly. Is it a Mystery? Sort of... Is it historical fiction? Yes, but it is also a contemporary story that encompasses science fiction, mystery and historical fiction making for one outstanding story. Michael Crichton meets The Time Traveler's Wife in this powerful debut novel in which a man, frozen in the Arctic ice for more than a century, awakens in the present day...A gripping, poignant, and thoroughly original thriller, Stephen Kiernan's provocative debut novel raises disturbing questions about the very nature of life and humanity-man as a scientific subject, as a tabloid playing, as a living being: A curiosity." Neil Gaiman's The Ocean at the End of the Lane was my two hundred and eleventh read for the year. Did I enjoy it? YES! What's not to enjoy in a Neil Gaiman urban science fiction/fantasy tale. I had the pleasure of hearing author Jason Mott speak at the BookMarks Book Festival in Winston-Salem North Carolina in September 2013. I also had the pleasure of reading his books: The First (The Returned #0.5), The Sparrow (The Returned #0.6), The Choice (The Returned #0.7), and The Returned. 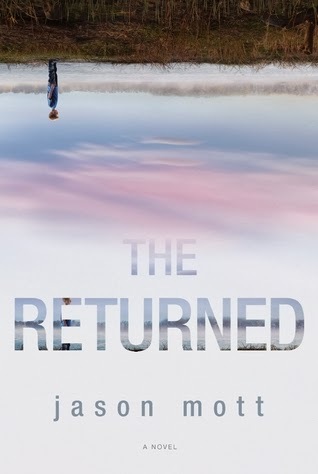 The Returned was my two hundred and forty-eighth read for 2013 and I'm still thinking about this book. I eagerly await the television series, slated for 2014, based on this book. I'm also looking forward to reading more from this amazing author. 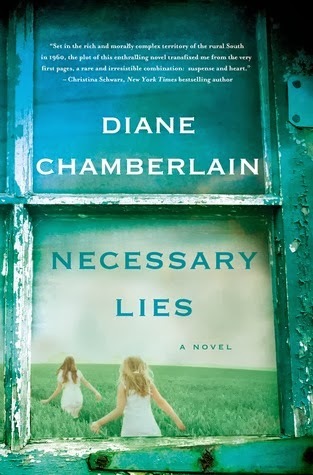 Necessary Lies by Diane Chamberlain was my two hundred and fifty-eighth book of 2013. This story is another blend of historical and contemporary fiction and examines the effect of state-mandated sterilization on North Carolina residents in the late 1950s and early 1960s. I've got to say that this was a book that I found hard to read at times due to my tears. Yes I know it is fiction, but I also know that it is based on reality and that made it all the more heartbreaking. One of my non-fiction reads for the year was The Butler: A Witness to History by Wil Haygood and my three hundred and fourth read for the year. Yes, this book is linked to the movie The Butler, but the movie is actually based on a Washington Post article written by Mr. Haygood in 2008 about former White House butler, Eugene Allen. 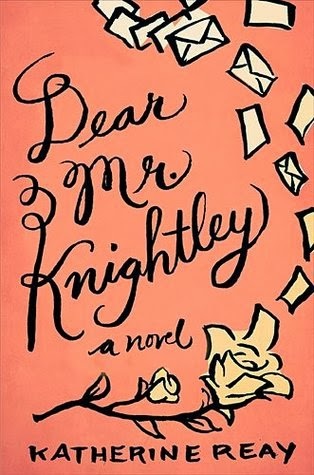 Dear Mr. Knightley by Katherine Reay was my three hundred and fortieth book for 2013. This epistolary novel combines a coming-of-age story with romance, self-awareness, and drama. This debut novel is classified as Christian Fiction but it is a story that I feel anyone from any religion can read and thoroughly enjoy. 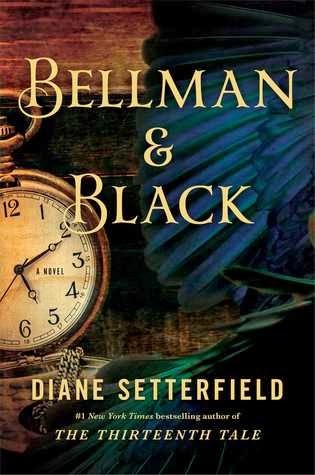 Diane Setterfield's Bellman & Black was my three hundred and forty-second read. To say that Ms. Setterfield has a way with words is a massive understatement. Her debut novel The Thirteenth Tale is one of my all-time favorite reads and I'll now have to add Bellman & Black to that list. Bellman & Black is much more than a ghost story or a cautionary tale, it is - quite simply - a great read! Morning Glory by Sarah Jio was my three hundred and fifty-fourth book and the third book by Ms. Jio that I've read this year. Gabrielle Zevin's In The Age of Love and Chocolate is the third book in the Birthright series and my three hundred and eighty-second read of the year. I've limited this list to books I rated as 3.5-5 star reads only. If I had included books read in 2013 but published prior to 2013 the list would have included close to 75 titles. I'll just mention some of those other great 2013 reads here: Pride and Prejudice by Jane Austen, The Healing by Jonathan Odell, Hotel on the Corner of Bitter and Sweet by Jamie Ford, The Heretic's Daughter by Kathleen Kent, Turn of Mind by Alice LaPlante, The Fault in Our Stars by John Green, To Kill a Mockingbird by Harper Lee, The Broken Teaglass by Emily Arsenault, State of Wonder by Ann Patchett, Bel Canto by Ann Patchett, A Discovery of Witches by Deborah Harkness, Shadow of Night by Deborah Harkness, Run by Ann Patchett, The Handmaid's Tale by Margaret Atwood, Beautiful Ruins by Jess Walter, Harry Potter and the Sorcerer's Stone by J.K. Rowling, Mr. Penumbra's 24 Hour Bookstore by Robin Sloane, The Language of Flowers by Vanessa Diffenbaugh, and The Movement of Stars by Amy Brill. I began 2013 by reading and reviewing a book by Julie Klassen, The Tutor's Daughter and thought it would be nice to end the year by reading another Klassen title, Lady of Milkweed Manor. I'm glad I did as it was another enjoyable inspirational story by Ms. Klassen and my four hundred and twelfth book of the year. For a complete list of books I've read during 2013, please click here. I'm not sure what 2014 may bring, but hopefully I'll be blessed to read just as many good books during the course of the upcoming year as I have this year. I seriously doubt if I'll be able to read another 400+ books, but I'll definitely try.